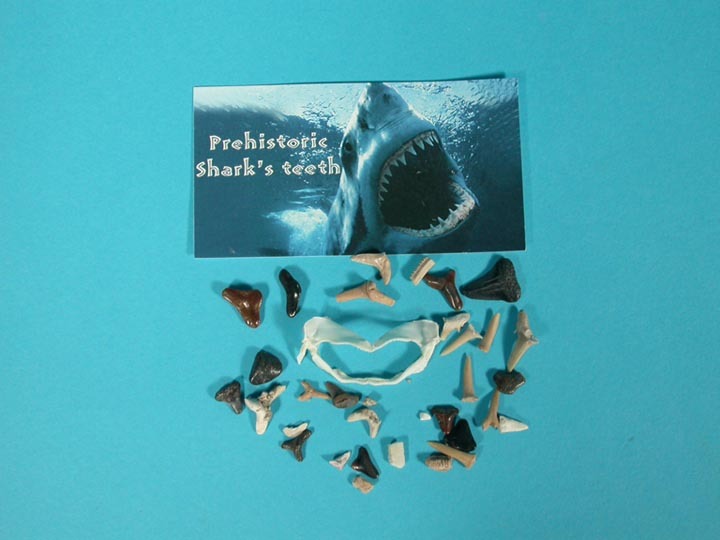 These fossil packs come with and assortment fossil sharks' teeth and and a jaw. The package is 3" x 5" (7.5 cm x 13 cm). These cannot be exported outside of the United States. 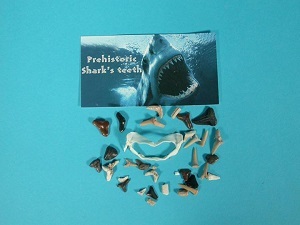 Contains fossils from Morocco, the Philippines, and the USA.